In a digital, connected environment, students and teachers are always "on", collaborating, communicating, and creating. Educators are undertaking the responsibility of harnessing that energy to develop the next generation of critical, thinkers, and reach the rigors of the Common Core Standards. Classroom Technology Consultants helps teachers, schools and districts with assistance in creating digital learning ecosystems which challenge and inspire their students, encourage innovation, and deepen learning. Classroom Technology Consultants offers interactive classroom design, technology evaluation, technology implementation and integration. Our hands on training can help teach new skills or bridge your existing skills by taking curriculum delivery to a higher level and increase student achievement with the use of the fantastic technology tools available today. Classroom Technology Consultants was founded by Deborah Dotson 10 years ago when she found a wide divide between the classroom and the use of technology. Debbie provides ways to enhance student learning, with a focus on helping teachers improve student engagement and achievement while integrating technology into day to day teaching. She possesses over 12 years of experience working with interactive technologies, such as the Promethean ActivClassroom, digital curriculum, iPads™, tablets, curriculum software, multiple apps, and is currently a Regional Manager for Boxlight, Educational Technology Consultant, and Certified National Trainer of Time To Teach™. 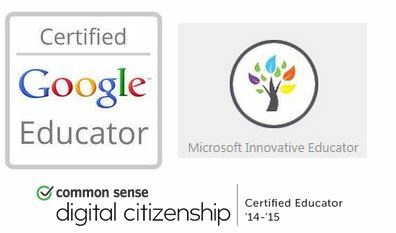 Debbie obtained her Graduate Certification as a Technology Integration Specialist, and is a Google Certified Educator and a Microsoft Innovative Educator. Debbie's experience with software training, software/hardware implementation, digital curriculum, website design, social media, and working with schools and districts make her uniquely qualified to deliver quality professional development services. At Classroom Technology Consultants, we help with everything you need to advance your skills in technology, web and social media. With a focus on tools that have real applications in the classroom and a huge impact on learning, there is no better place to become a cutting edge educator.